A poet and a lemon walk into a bar. The bartender asks them what’s new. And they answer: The Poetry Crawl is the (OFFICIAL!) City of Napa Celebration for Arts in April. Silly? Yes. But that’s how excited and grateful I am to have the support of the Arts Council and especially Bethany Crown, who helped make this happen. I’m so grateful to Craig Smith and Steve Sando, both of whom encouraged me to persevere after participating in last year’s book fest. And I am beyond words grateful to everyone at Napa Bookmine for everything they do for readers and writers and for being such wonderful supporters of the book fest. It’s kind of like that for a lot of poets: they learn their craft, they hone their craft, they produce a little work, and then they produce a lot of work. If they are diligent and, let’s be honest, a little lucky, they find an audience and a publisher. For those of us who love poetry, there are those poets who take that long hard road. On Saturday, you can meet nine of them. Can’t wait? Here’s the path Napa’s own Poet Laureate, Jeremy Benson has taken. Me: When did you know you were a poet? Jeremy Benson: When a high school English teacher called me a "wordsmith" in a letter of recommendation. At the time I wanted to be a blacksmith, but I was and am much better at hammering words into different shapes. What was the first book of poetry that you wrote and what inspired it? I wrote a collection called Grit: Blood, Sweat, and Sexual Fluids. It was college, so naturally I was inspired by a passing grade. I wanted to write about all the messy, gruesome, indignant realities of being alive. Twelve years later and my and the poetry's naivete shows. I returned to some of the themes in my recent chapbook, Night Work, but with much more depth and a lot more adult content. How does being a Poet Laureate impact your career path? It's certainly expanded my C.V. And I've met many different people, some of whom have offered me new avenues to write or present, but many have impacted my path just by introducing new books to read, or ideas to think about. I also never thought I'd teach, but with a few workshops under my belt, I think it may have been a hidden talent. I'll be teaching more workshops in the future. Is it possible to make a living as a poet? It's in the infinitely vast realm of possibilities. I've been pleasantly surprised at how much money I've made as a poet, but that's only because I was expecting to make nothing. It's a lot of work, most of which is beyond the pen and paper, and I've had privileges, generosity, and luck along the way. And it's still only a pittance, especially calculated against how much time I've spent writing poems, and how much I spent on my education. I have a full-time job that is not poetry. Poetry doesn't pay any of my bills, but occasionally I take myself out for a beer, or a book. But "make a living" is an interesting phrase. Of course we use it to mean a financial living, but it contains other meanings, too, In at least one other meaning, I make a living as a poet. Would you take the same path if you could start all over again? A good question for Frost. I often wish I had paid more attention in math and science classes, or had taken up a trade. But I'd probably still be writing poetry. Robert Bly wrote, "Toward the end / The poem is just beginning to be who it is." I can't start over, but there's still time. What about you: Do you want more poetry in your life? Do you live in San Francisco? Litquake is celebrating National Poetry Month with its own poetry event on Saturday, April 13. Napa Bookmine has a Poetry Book Club. “Instapoetry” is a thing. Who knew? One of my favorite writers, Kate Baer, is using it for her poetry. 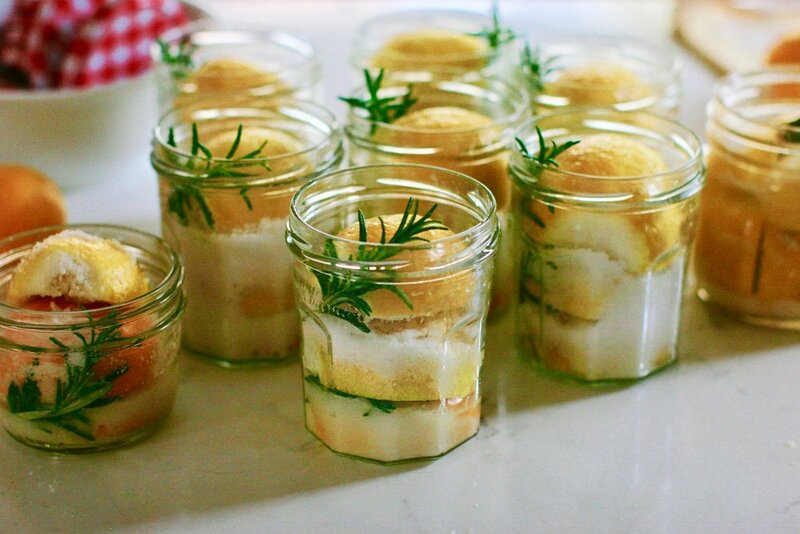 Back to those lemons, I’ve preserved a bunch and will be giving away 12 small jars at Bookmine tomorrow. Jack is the bartender in our house. 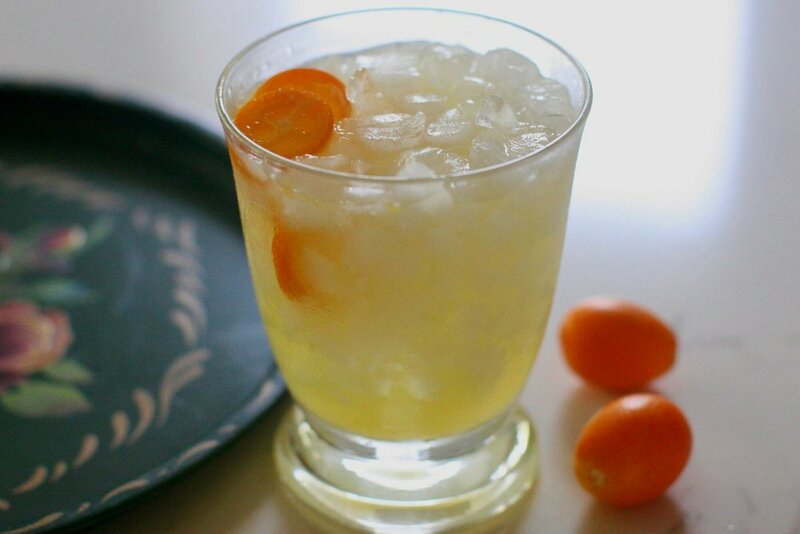 When someone gave him a dozen kumquats he made this cocktail. It’s delicious. Now I wish I had a kumquat tree. Maybe there’s one in the neighborhood…. Put the 3 halved kumquats in shaker and muddle until the juice is released. Add the remaining ingredients and fill with ice. Shake and strain into a glass. Add ice and garnish with remaining sliced kumquat.